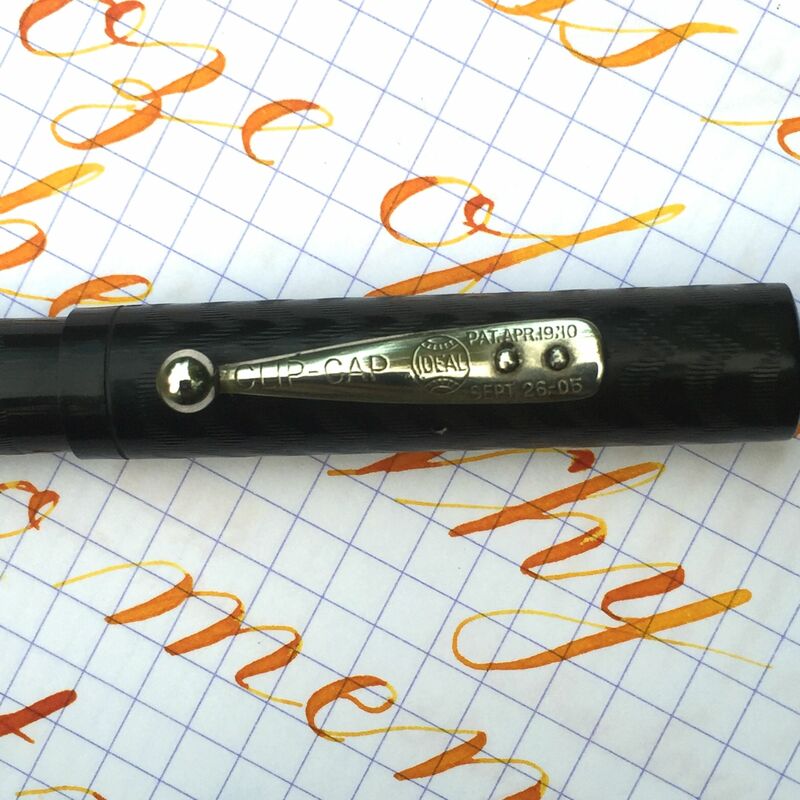 Here is a Waterman 14 PSF in BCHR in fantastic condition. 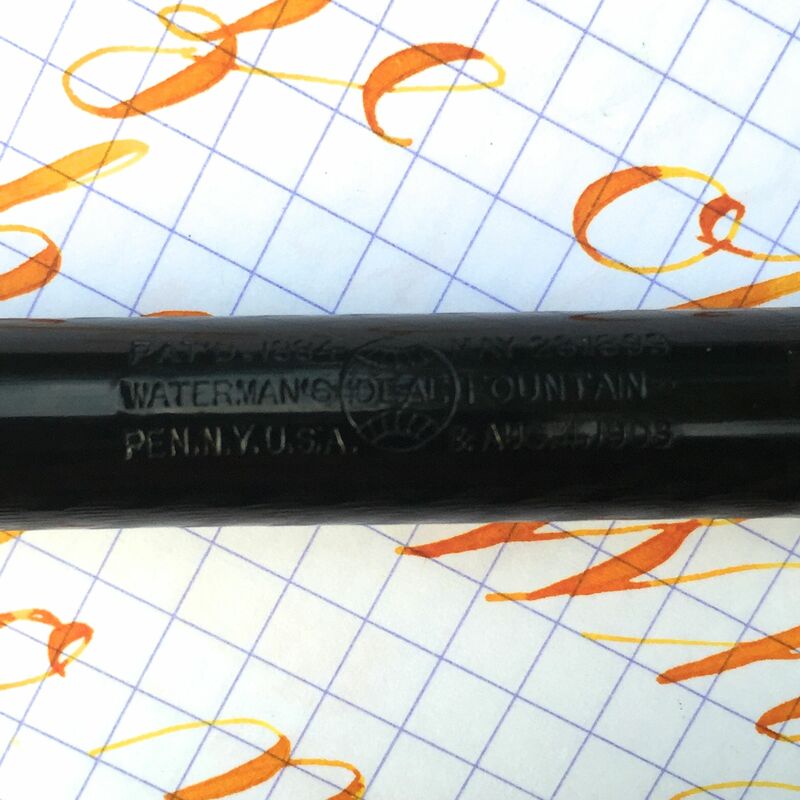 The black hard rubber body of this pen is still black and even has the original shine. There is just the slightest bit of grayish fade appearing on the top half of the cap; otherwise, the body looks brand new. Imprints are all good and crisp as well. The nickel trim looks great. The only real flaw of this pen is that the cap threads a bit tight. It’s clearly the original cap and the external threads are perfect, so probably a small scratch or something on the internal cap threads. 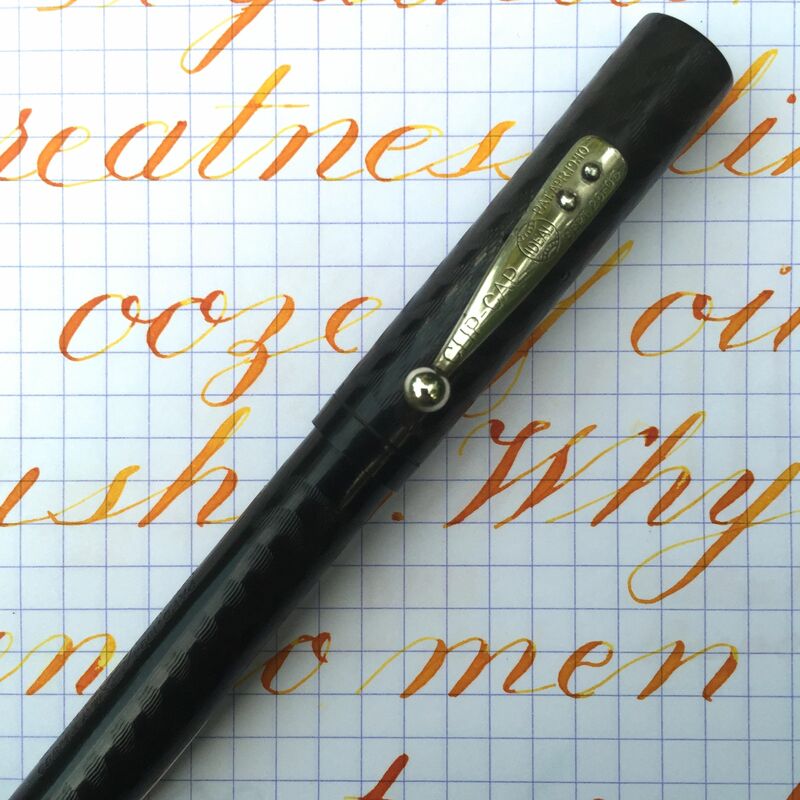 The best part of this pen is 14kt. 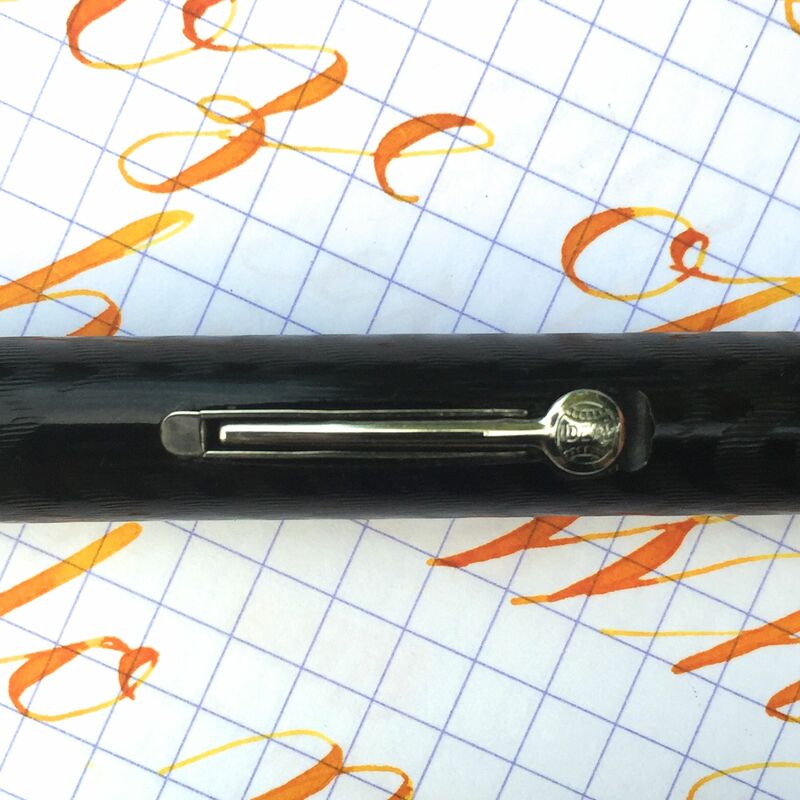 Waterman #4 nib. 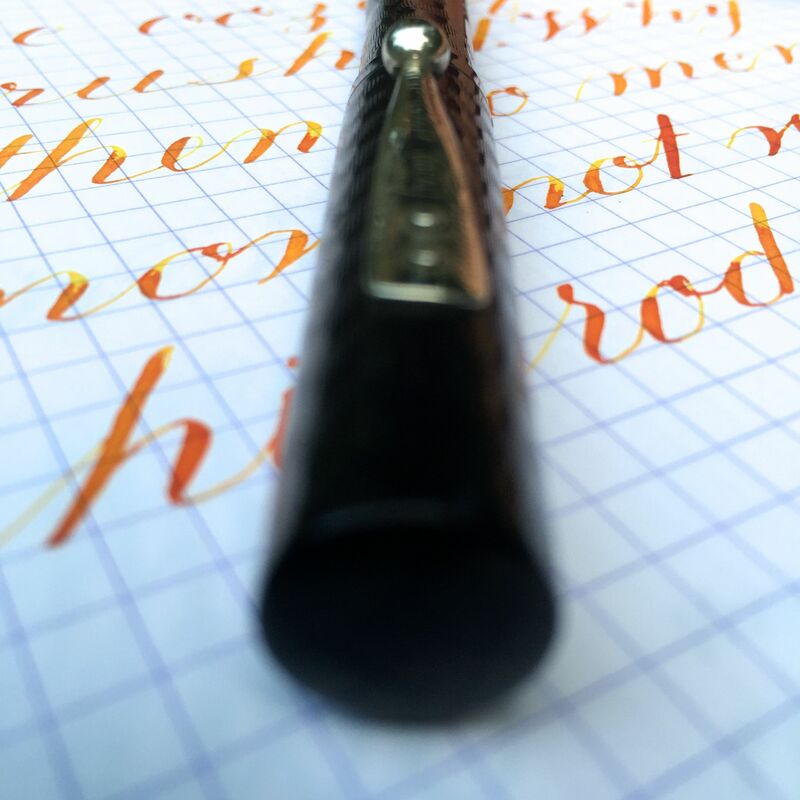 It writes normally as nice, wet XF/ F that is very smooth and springy. 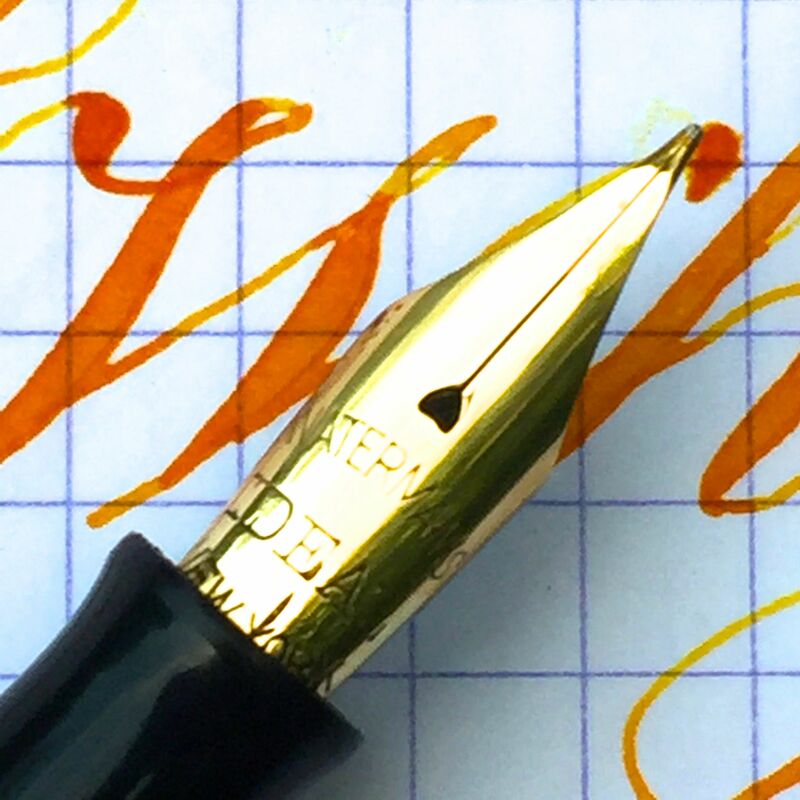 The flex on this nib comes with ease. 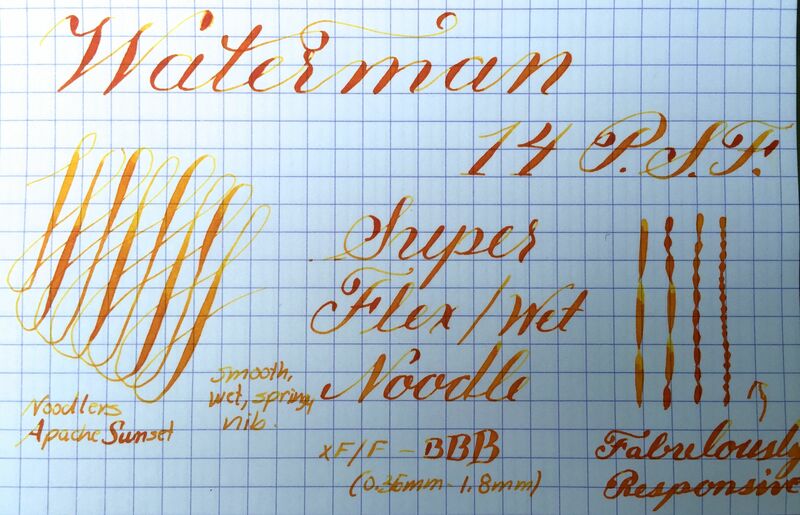 It is right on the border between super flex and wet noodle in my testing, but the responsiveness is what really sets this apart as an elite flex nib. It’s very easy to control and a joy to use.